“Arthritis” is a general term surrounding conditions that share joint pain and inflammation. 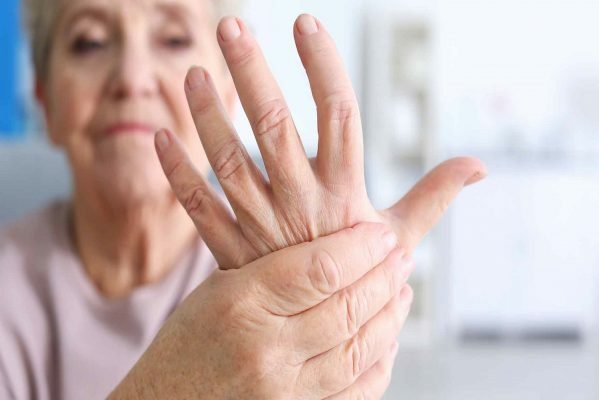 The person can be suffering from numerous types of arthritis like- rheumatoid arthritis, osteoarthritis, and psoriatic arthritis. The medications involved for the treatment are generally inflammation and pain-reducing medications to the patients. There is no single diet plan for the patient to follow, studies is this field suggest that if there is anti-inflammatory food in your diet and limiting foods that may trigger joint pain. Fried and processed foods: Researchers while examining the disease in detail have found that decreasing the amount of fried and processed food eaten by the patient can reduce the inflammation and actually also can help restoring the body’s natural resistance. Cut down the mount of fried and processed food in your diet plan. Food such as fried meats and prepared frozen meals as these are not good for you rather, include more vegetables and fruits like salad in your diet. Lower your glycation end product: an advances glycation and products is a toxins that appears when you heat, grill, fry and pasteurize and food item. It damages the protein in your body, and the body uses cytokines which are inflammatory messengers to break down these food materials. Depending on where these products occur, they may result in arthritis or other forms of inflammation. What you can do is reducing the amount of food which is cooked at high tempetarure in your diet. As this will result in lowering the amount of food that helps in arthritis and can cause inflammation in body. Sugar and refined carbs: stop or avoid food items which has high amount of sugar level in your diet. The includes candies, processed food, white flour, baked products and sodas. Dairy products: dairy products contribute to arthritis pain due to the type of protein they contain. For some people the protein which the dairy items have irritates the tissue around their joints. People who have switched over started having vegan diet, which does not contain animal products whatsoever. Rather having protein from meat and dairy , vegetables like spinach, tofu, beans, lentil and quinoa are considered to have and are high protein sources. Alcohol and tobacco: alcohol and tobacco are known to have number of health problems and they also effects the joints. Smokers are at great risk of developing the rheumatoid arthritis, while those people who consume alcohol have is at high risk of developing gout. For healthy joints in the body have balanced diet for eating habits. Physical activity and adequate amount of rest is a must. Try avoiding consumption of alcohol and smoking and ramp up your eating habits. Salt and preservatives: the food contains excessive amount of salt and other preservatives should be avoided by the individual. It may result in inflammation of the joints. Try brining down the consumption of salt to modest level.